A public commission has concluded that opposition leader Boris Nemtsov, who was arrested at a protest rally on December 31 and sentenced to15 days in jail for disobeying the police, did not in fact show any resistance. On Thursday evening, members of a special commission formed by the Public Council of the Moscow City Police examined two video records – one submitted by police and one by Nemtsov’s defense – made during his detention on Moscow’s Triumfalnaya Square. On that day, two opposition rallies were held at the same place, but while one of them was permitted by the city authorities, the other one was unsanctioned. The videos appeared to be completely identical, but the opinions within the commission got split. The majority of its members agreed that the records prove that charges brought against Nemtsov in court were unjustified, therefore there were no grounds for his 15-day administrative arrest. 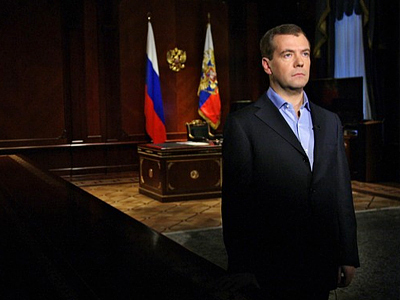 Novaya Gazeta daily Editor-in-Chief Dmitry Muratov, who initiated the investigation of the case by the commission, told gazeta.ru that three conclusions were made. 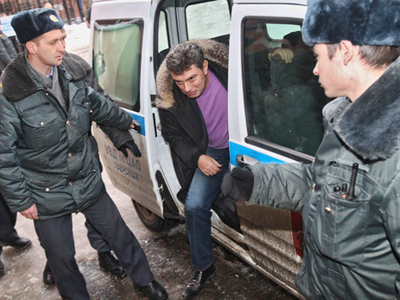 First, Nemtsov did not resist the police. Second, he did not call on the public to join the unsanctioned meeting. And third, the politician did not swear at or insult the police. 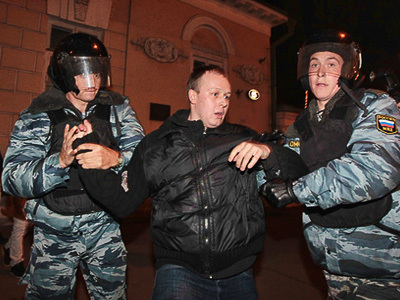 Muratov, commenting on the matter, agreed that some protesters did call on others to make a push. But he believes it can be explained by a lack of space at the square and not enough exits from the area, which made people crammed into it feel uncomfortable. In order to avoid such a mess in the future, the commission members have recommended to the police to better organize the space for rallies. According to the head of the body, chief editor of Moskovsky Komsomolets Pavel Gusev, the police immediately agreed to do so and promised that next time there would be more entries and exits and people would be informed from the stage which way to go. The public commission has also agreed to send its observers to the next protest rally, which will take place on January 31. Meanwhile, the commission is continuing its work on the case on Friday, as many questions still remain unanswered. It is expected that later the body will come up with a report on its findings. 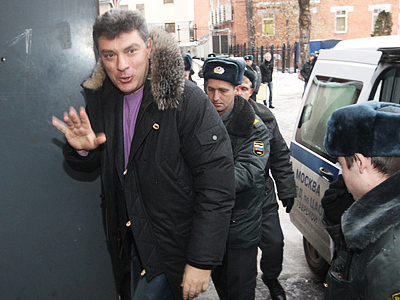 The main character of the story – Boris Nemtsov – has not been invited to the commission’s meeting. But he has closely been watching the developments and making comments in his blog on LiveJournal. 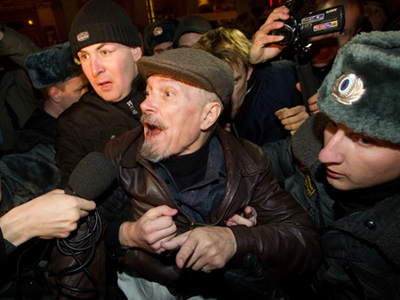 Leaders of the opposition movement Solidarity, Nemtsov and Yashin, along with Eduard Limonov, the chair of The Other Russia (which has been denied party registration), and a number of other protesters were all detained on the New Year’s Eve. All received up to 15 days administrative arrest. Appeals filed by the detainee’s defense, who had demanded that the case against their clients be closed and the punishment cancelled, were denied by courts. For over two years now, at the end of each month with 31 days, the opposition has been attempting to stage a rally on Moscow’s Triumfalnaya Square in support of Article 31 of the Russian Constitution, which guarantees the freedom of assembly. While the previous Mayor of Moscow had always banned the gatherings at that site, with Sergey Sobyanin’s appointment as head of Moscow, the city’s authorities have softened their stance. They agreed to allow the opposition meetings, but set their own conditions concerning the number of people who can take part. That led to a split within the opposition. 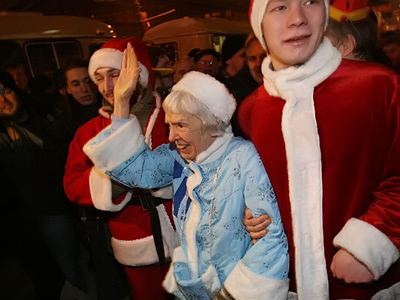 Moscow Helsinki Group chair Lyudmila Alekseeva, along with Lev Ponomarev, who heads the movement For Human Rights and some other activists agreed to the demands and were given the desired permission to stage a rally. The founder of the Strategy 31 movement, Eduard Limonov, and a group of opposition politicians insisted that the authorities should allow them to bring 1,500 people to the square – which was almost twice as much as Alekseeva had applied for. No compromise was found and, as a result, two meetings were staged, though one was dispersed by police and its organizers were detained.